Texas rats are a huge problem here in the greater Dallas, Texas metroplex. If you think you may have one, do not wait, call the rat extermination experts at Safe Pro Pest Control, based in the heart of Frisco, Texas. Click on a section to jump to it! 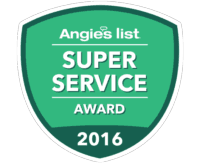 Call 214-773-9548 or fill in your details below to schedule your free inspection now. While there are over 70 species of rats, just three kinds give home and commercial property owners problems. Norway rats – also called Brown rats because they usually have Brown fur and white belly fur, small ears, and tails smaller than their bodies. These rats usually pose the greatest challenge to remove from properties. Roof rats (Black rats) – known for their large ears, long tails and black or brown fur coats, are one of the most common. Polynesian rats – these are also Brown furred rats but are usually smaller than Norway rats. Their tales may be longer or shorter than their bodies. Rat vs Humans… Who Wins the Fight for Survival? Rats really like to ‘get it on!’ They mate up to 20 times a day…A DAY!…can birth as many as 20 babies in a litter, who grow fast and start breeding themselves in as little as 3 to 4 months, and can crank out as many as 12 litters per year. Rats are cannibals, and it doesn’t take much for them to turn on their own babies when their stomachs start growling. They are very wary of changes in their environment. Rats are very smart, acrobatic, and can squeeze into areas the size of their small skulls – which are the only non-flexible part of their bodies. Rats have extremely powerful noses that can easily detect the scent of human sweat, making it tough to catch them with baited traps, as they smell the human scent on them. Rats love to invade freshly cleaned areas, while you may have thought they only liked abandoned homes. Rats are quite clever, far smarter than mice, making the extermination process more difficult. Adult rats will use their own offspring as ‘test-rats’ to test new food sources and traps for self-preservation…truly scandalous creatures, indeed. Since 50% of people don’t know they have Texas rats living in their home for some time, they are free to breed and build huge colonies when they go unchecked. Their rapid reproduction and the increased difficulty of exterminating them the more their numbers grow is the reason why homeowners must act immediately as soon as they detect a problem. Dallas, Plano and Frisco, Texas make many positive top 10 lists for the state and country. But there is one list we all wish would disappear. Did you know Dallas, Texas came in at number 10 on the top 10 list of cities in the US to hold the highest rat population, according to a study conducted by Orkin, from September 2016 to September 2017? Rats in Texas love to hang out in abandoned homes, new construction, and old construction. Once they are in the home or commercial property they find cozy and safe places to nest – primarily crawlspaces and attics. This explains why so many people search online for roof rats in Texas! Shocked to hear that rats occupy new home, I asked Alex Cantaboni owner of family owned Safe Pro Pest Control to clarify. Bottom line is if your home or business is close to abandoned houses, new construction or old construction then you should be wary and take extra precautions to ensure your home is rat-proof. There are some telltale signs you can use to determine whether or not you have Texas rats living in your own. 1. 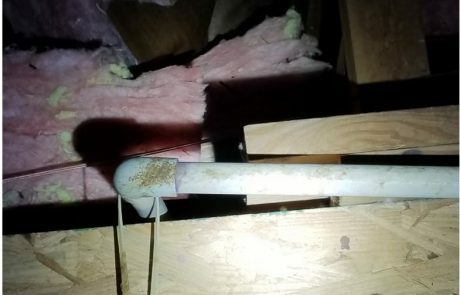 Check your air conditioning line – 90% of houses have air conditioning lines attached to the furnace in the attic, which are the perfect highway to invading your home. Check this line outside to see if there are any holes. 2. Climb the ladder to your attic and heck for black droppings indicative of rats. If there is black dropping with white attached to it then it is lizard poop. 3. Look for tunneling in the insulation. These little tunnels will look as if rats have been walking through snow. 4. Inspect for grease marks – since rats are not clean. They have greasy paws and leave greasy paw prints all over the place. 5. Check for paw prints on air-conditioning ducts. 6. Search for access points as rats can go up the gutters or trees to get into the roof. 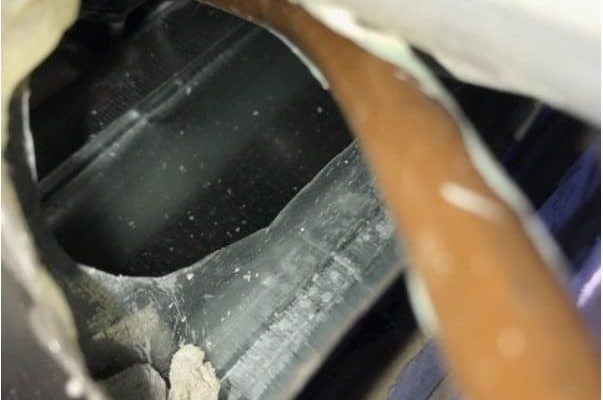 Check to see if the foam around the A/C line is chewed up or destroyed. On the outside look at the air conditioner line, the black line that has a foam and enters in the furnace. Look at the black line for chewing. This creates the perfect opening. Look at the dust on the air conditioning ducts to see if there is paw prints. It may take a more distinguished eye to observe these. They can squish through the roof eaves. Chew holes where they squeeze through ‘eaves’ to get into the attic. 90% of the houses in Texas have an attic opening and other houses have a crawl space. Usually if they are in the crawl space they get in the attic too. It is very rare that they stay only in the crawl space. Most problems are attic related. Anything south of highway I-635 is going to have a crawl space, so check there, but 90% of rats hide out in your attics. Remember that your house can have several attics. Another preventative method is to ask your air conditioning, roofing, plumbing, electrical and other home service providers report on any signs of a pest problem. Since servicing specialists are more likely to access hard to reach areas, you can ask them to be your eyes and ears. When they visit your house provide them with a shortlist of signs indicating rat problems and have them report back. To help fight the Texas rats problem we are educating service providers in Plano, Frisco, McKinney, Allen, Prosper, Celina, Fairview, Little Elm, Lucas, Oak Point, Paloma Creek, Savannah and the greater Dallas areas to detect red flags. 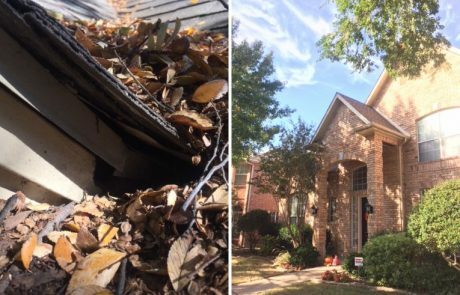 Classic Heating & Air located in McKinney, Plano and Celina, Texas has impressed us with their proactive inspection and focus on detecting potential rat issues while performing home services. 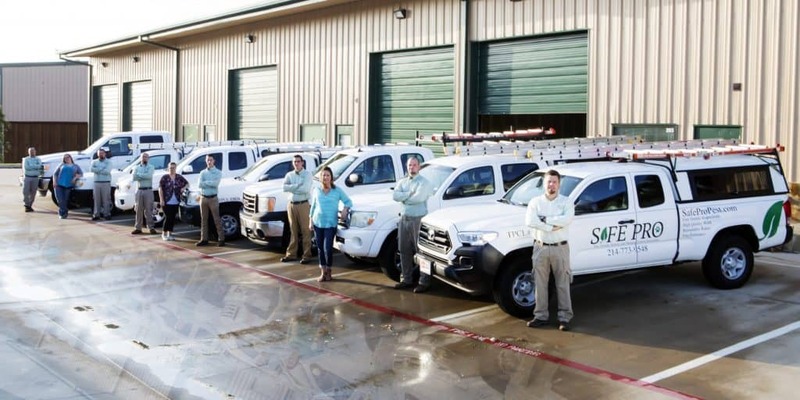 What makes us special at Safe Pro Pest Control is that when we do inspections we return the favor: we routinely look for plumbing, electrical and other issues because most homeowners don’t have the privilege to see what we see. According to the Centers for Disease Control and Prevention, there are 10 diseases that are directly transmitted by rats and 15 they can hold, including Lyme disease, salmonella, and rat bite fever. A most presumptuous house-guest, they are known to explore food, food preparation surfaces, and dish storage spaces. While they explore, they leave invisible drops of urine behind. Rat urine can transmit viruses that we don’t know about to humans, says Dr. Merchant. Though they did carry the bubonic plague, which killed 75 million people worldwide from the 1300s to the 18th century, it’s not highly likely that they will bite humans or that people will contract disease from them – though it is possible. Although disease and infection can happen, in most cases, risks of transmission are low. When asking for advice be cautious of recommendations that rely heavily on tapping into your fears. In most cases, a basic service is sufficient and sanitization is only done if and when necessary. Removing all the insulation is reserved for extreme cases only; and the situation needs to be properly assessed. So ask questions about why this or that service needs to be performed before a technician jumps the gun. If the first words you hear are “sanitization” or “removing insulation” we recommend you get a second opinion. They Party Harder Than Rockstars! If you have detected a rat problem you should take action immediately. Far from that pet hamster you had in elementary school, rats can cause significant damage to your home, if left unchecked. While rats will not likely give you the bubonic plague, they are highly likely to eat away at the value of your property…literally! It’s believed that about 25 percent of wildfires that start without other explanation are caused by rats’ habit of chewing electrical wires. 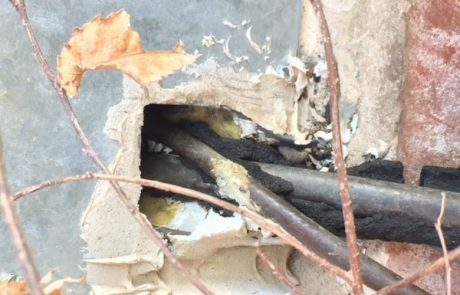 Rats cause damage by chewing on your insulation, wood, wires, pipes and many other materials. They can even boar their way through siding boards. wood, wires, pipes and many other materials. They can even boar their way through siding boards. The good news is you can eliminate your rat problem and take preventative measures so that they never invade your home again. Rats belong in the woods, far far away from your home, and not in your roof. Still, these are just prevention methods that you should utilize for the future. If you believe you have a rat in your home the best thing you can do is take immediate action and contact a professional. However, all pest control services are not created equal. As with other home service providers, some pest control companies and the technicians that work for them may be unprofessional, untrained and unequipped to efficiently exterminate rats. 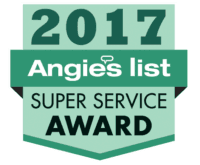 There is a reason Safe Pro Pest Control has been chosen eight years in a row as the Angie’s list award winner for pest control in Dallas/Fort Worth Metroplex. Let’s take a closer look at what makes Safe Pro Pest Control the #1 voted rat extermination eight years in a row. Schedule a free on-site evaluation and inspection. This means we’ll come to your home or commercial property. A full-time, licensed professional technician that is also fully insured, bonded, and has workman’s’ compensation provided. a. Why is all this important to you? Workman’s compensation is important because if in the event that a technician is injured at your property, workers without workman’s compensation can actually sue YOU, the customer! We provide a risk-free experience for customers by insuring, bonding, and providing workman’s comp for all our staff and technicians. b. If there is a theft claim there is protection and insurance. c. We also perform background checks and drug screens on all technicians. This industry is full of unsafe people that end up in your home. Safe Pro Pest Control ensures that only quality, pre-screened staff members join our team. d. While many companies use subcontractors, increasing the likelihood of inviting non-screened, unlicensed, non-bonded, and uninsured technicians into your home, Safe Pro Pest Control has our own, in-house full-time employees that we’ve trained to be industry leading extermination professionals. Expert and White-Glove Service provided! a. Our technicians wear shoe covers in your home at all times, to prevent tracking in germs from previous visits into your home. b. Our technician will ask a few questions then perform a complete, top-to-bottom inspection of your home or commercial property. c. Inspection includes all attics, as some houses have several attics. You get a complete inspection of the exterior of your property and roof. We go on 9 out of 10 roofs. Note: We only avoid going on roofs that are not safe. Your Safe Pro Pest Control Inspection usually lasts a full hour while most companies do a short and half-hearted 10-minute inspection. That’s why our inspection is valued at $180 per hour, but it’s yours for zero cost or obligation! When the inspection is done we share a complete analysis with you, on the spot, of the rat, pest, and/or insect problem(s) you may have, the plan for extermination, repair of damage done to your property and the prevention measures that must be taken to keep pests away for good. 1. Your extermination service will be scheduled in 24 to 48 hours. 2. 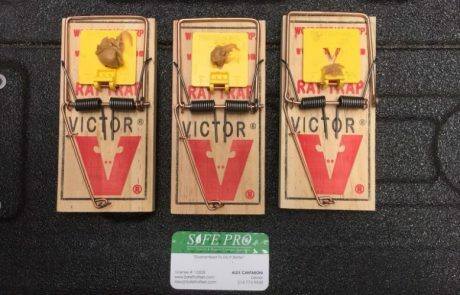 Snap traps are set using the perfect amount of rats’ favorite food and we make all repairs to your home in the same visit. – This usually includes sealing all holes and gaps with sheet metal – the only substance rats can’t chew through. – We completely repair any damaged areas and seal any openings and possible future openings rats have or will likely make. 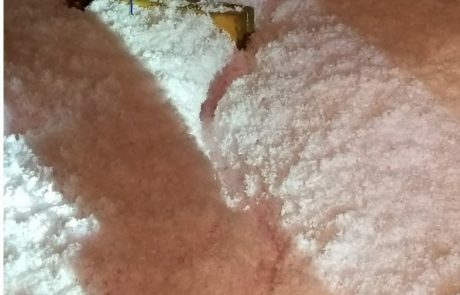 We usually seal up all roof returns because it is likely that rats will try to re-enter roof returns that are currently closed. – We put the bait boxes as to avoid rats from outside to come in and be poisoned. 3. Lifetime Warranty: Services performed include a lifetime warranty of our procedures. This provides peace of mind that you’re getting the best service possible, and if you do have a future pest invasion, it will be exterminated at no extra cost. Call us for details of our Lifetime Warranty. 4. A minimum of 2 follow-up visits are provided at no additional cost. We come back to inspect all rat-traps and remove any necessary traps every 7 days. – If you have a bigger infestation and more follow-up visits are required, these are all provided at zero additional cost! Due to the additional 2 to 4 follow-up inspections set for every 7 days, the process of extermination for rats usually takes 2 to 4 weeks. – However, if you have a bigger rat infestation, and it takes 6 to 8 weeks, you don’t have to worry because you never pay more! This ensures we’re doing our best job the first time around and gives you peace of mind. 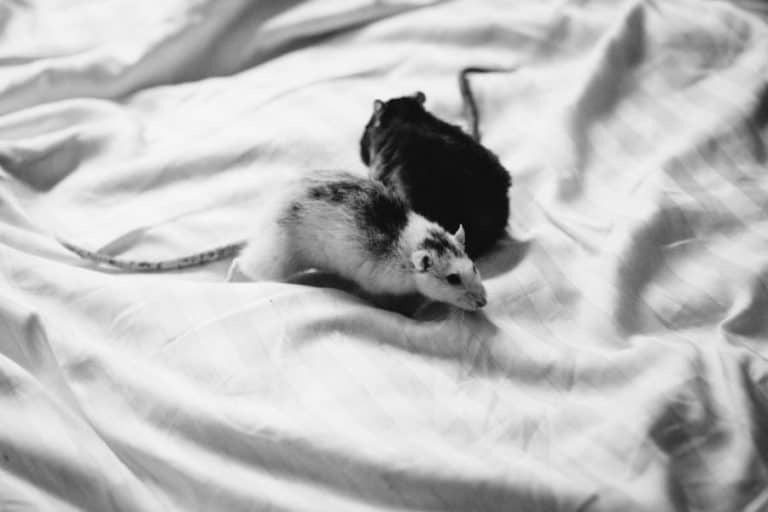 If you call within 2-3 weeks of hearing noises or noticing any of the telltale signs of the presence of rats, then we usually have a 90% success rate with exterminating the rodents within the first 2 weeks. If you ignore it and procrastinate for several months, your minor rat problem could become a huge rat problem due to their prolific reproduction life cycle described above. In conclusion, it’s safe to say that Texas rats, whether black rats, brown rats, or Polynesian rats, are here to stay. Texas kangaroo rats, which are smaller rodents that get their name from the kangaroo-like leaps it sometimes makes when excited, jumping on its long hind feet and using its tail as balance, are an endangered species. But the Texas rat, that loves making a living in human dwellings, are far too intelligent, advanced defensively and prolific in reproduction to say goodbye. 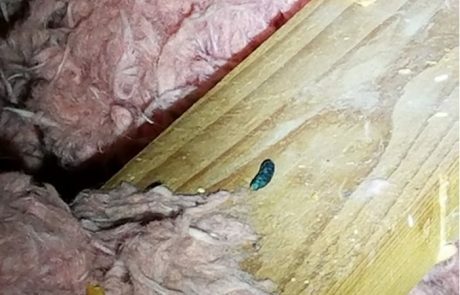 That’s why Safe Pro Pest Control is here to serve the greater Dallas, Plano and Frisco area for all your Texas rat, termite, and other pest extermination needs. 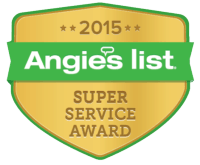 Call 214-773-9548 or click the button below to schedule your free inspection now.